2 lengthy tracks of ambient/black metal soundscapes. 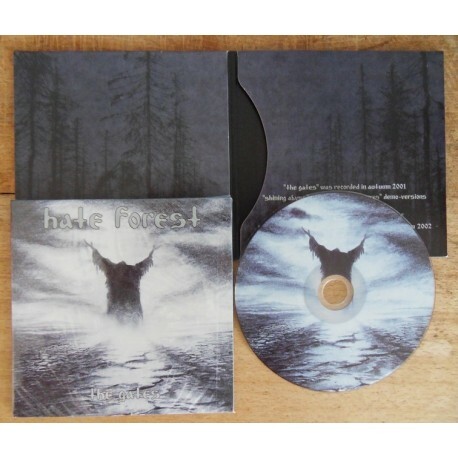 Re-released with updated artwork on 4-panel digisleeve CD to coincide with the Osmose Productions reissues of the HATE FOREST back catalog on the same format. 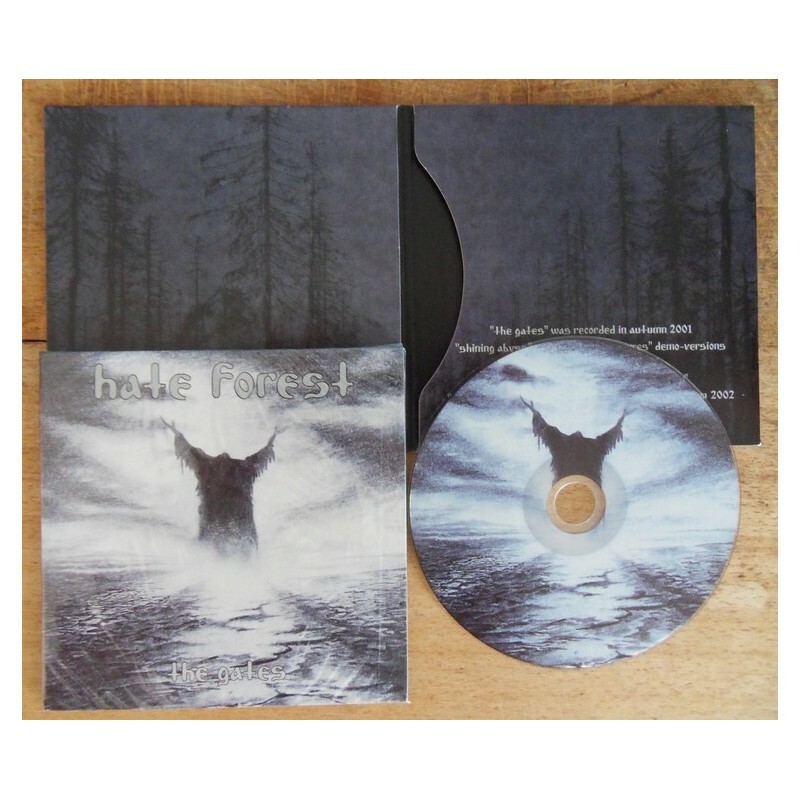 Below, you can hear one of the two tracks from the Gates as well as the demo-versions of Shining Abyss & With Fire and Iron , all 3 are featured on this CD.